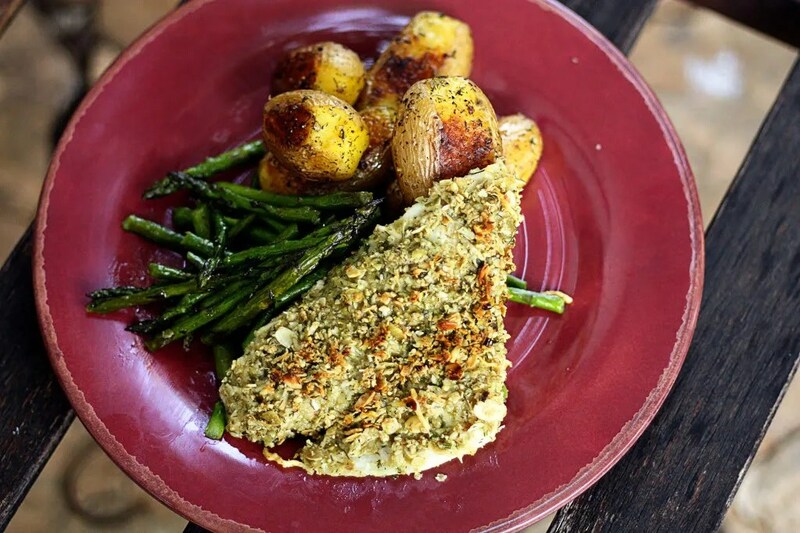 This is a very simple fish recipe that makes you feel like you’re eating at a high-end restaurant. 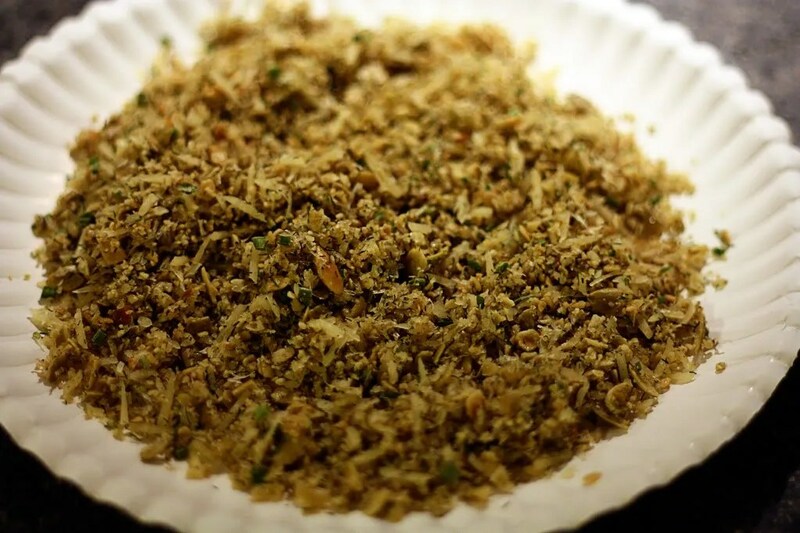 You can use pecans, macadamia nuts, or breadcrumbs if you can’t find pumpkin seeds…just make sure you chop them finely or grind them a little in a food processor. In a small bowl, combine pumpkin seeds, parmesan, garlic, chives, cayenne pepper and butter. Mix well. 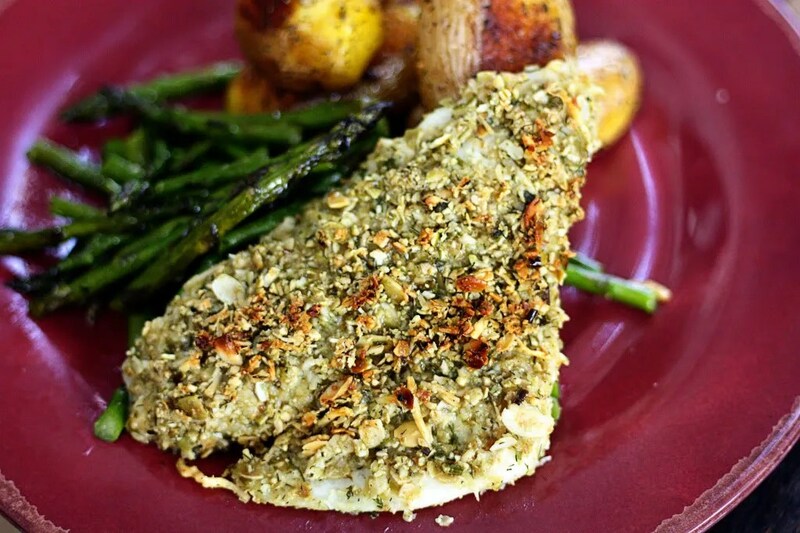 Place fish, skin side down, in a greased baking pan large enough to hold in a single layer. Spread mayonnaise evenly over fish. 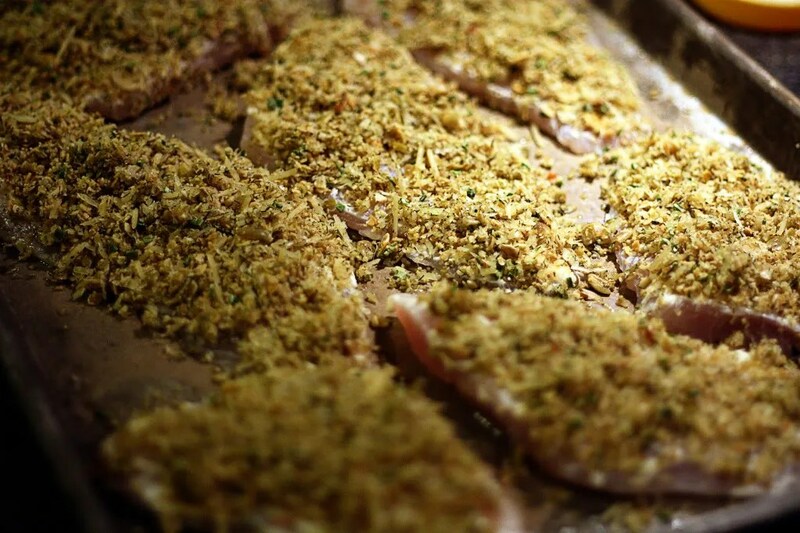 Sprinkle evenly with crumb mixture, lightly pressing into fish. 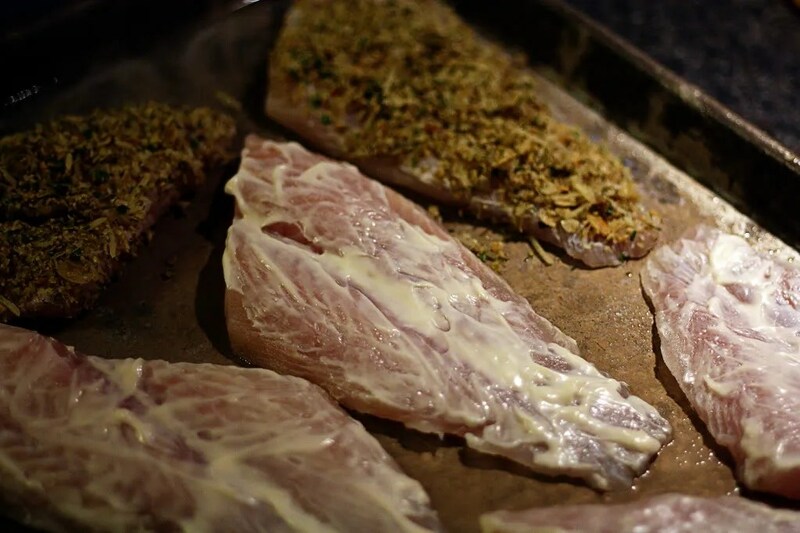 Bake for 20-25 minutes or until fish flakes with a fork.